InnerGeo LLC, the parent company of WaterReco LLC, has developed a unique system that extracts the bound oil from water. Sources of this water include but are not limited to produced formation and frac fluids from oil and gas wells, bilge water in ocean going vessels, storm water runoff and oil spill sites. What makes our process unique is that we recover the oil normally lost or destroyed by other processing methods. This results in a reduced disposal cost per barrel from the current methods of water disposal while also providing the opportunity to create additional revenue streams from the waste fluids. The disposal of frac flow-back water and produced saltwater is a major expense within the oil and gas industry. These two expensive by-products of today’s oilfield typically require disposal. They also cause the industry as a whole to be perceived as a significant consumer of a very valuable resource: fresh water. Currently, the most cost effective disposal of frac and produced brine waters is the re-injection of the fluid into Saltwater Disposal wells (SWD well). Each operator plans for the water to be injected on-site or hauled to a SWD well. The cost to drill a typical SWD well today is $500K plus. Another option is for the operator to have the water hauled away at an expense of $1.50 per barrel or more. As the production of saltwater increases, disposal becomes a growing factor in determining the economic life of a well. Additionally with the advent of the shale oil boom the increasing amounts of water being disposed has led in some areas to increased seismic activity from water injected near fault lines. In the production of a well, the fluids coming from the well are passed through a separator to remove oil and gas from the water. This system is not 100% efficient. In fact, 1%-4% of the oil is emulsified in the water and passes through the separator. It is then discarded through onsite injection, or hauled off. Many SWD well owners remove a fraction this oil and sell it. The sale of this “skim oil” usually provides significant revenue to the SWD contractor. WaterReco has the exclusive license for a proven and patent-pending system that allows an oil or gas producer to process on-site a) the flow-back waters from a frac well; and b) the water from a producing well, and c) water at saltwater disposal wellsite’s into three marketable resources. The key to this process can be seen in the picture to the right, which is the prototype full scale oil water Separator that has proven to be up to 99% efficient at removing emulsified hydrocarbons from that stream of disposal fluid. The industry is already making steps to recycle and re-use the wastewater produced by fraced wells. 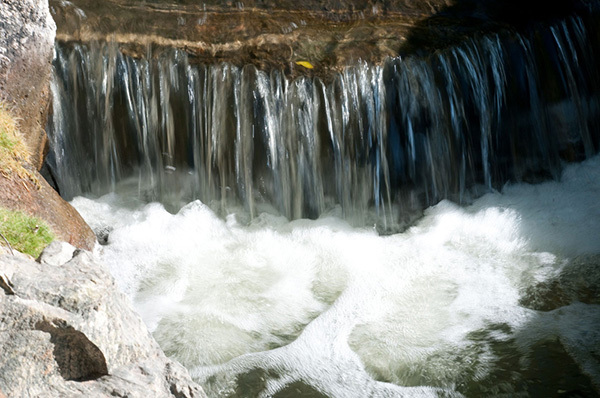 The challenge has been the removal of the hydrocarbons emulsified in the stream of disposal water. 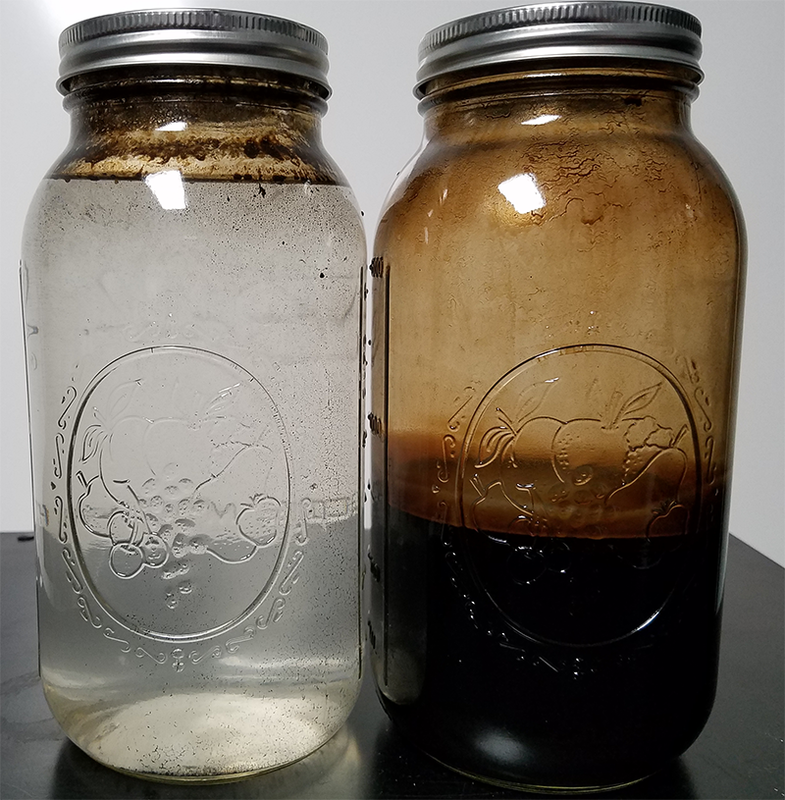 InnerGeo has proven it possible to recover up to 99% of the emulsified oil in that fluid and removal of the remaining 1% can be easily achieved with the use of inexpensive additional filtration. The 99% that is recovered is considered virgin oil when captured at the well site. This means the valuable light ends of the hydrocarbon chain are not lost due to evaporation into the atmosphere. WaterReco’s revolutionary system is a patent pending separator where the discharged hydrocarbon free water can now be pumped through a reverse osmosis filtration unit to convert up to 75% of the produced fluid into fresh water. The remaining 15-25% is a concentrated brine with value as a weighted brine in the oil and plastics industries. 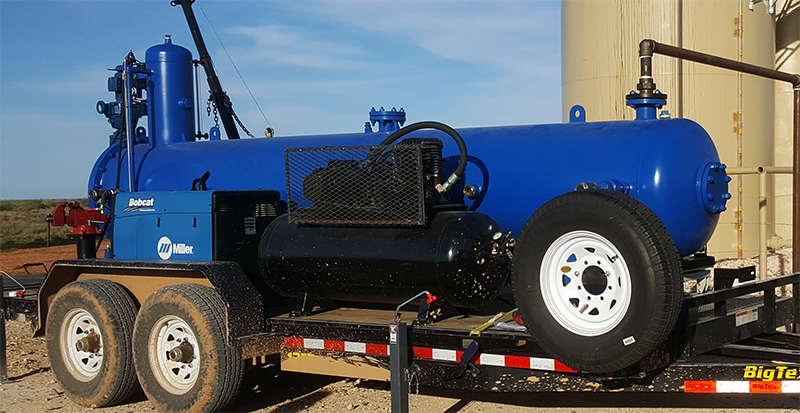 The system is a skid-mounted unit that will be brought to the worksite, connected to the water storage facilities with the oily water being pumped through our patent pending separator which removes the majority of the entrained hydrocarbons from the water. Next the fluid can pass through three stages of filters ending with reverse osmosis filtration (should the producer’s goal be to generate fresh water). This will allow the producer to a) capture the emulsified oil on-site; and b) recover 75-85% of the total fluid volume (to be recycled, sold or discharged as clean fresh water). The remaining 15-30% is condensed brine that can be sold in many regions, or alternatively, disposed of in a SWD well. Any generator of emulsified water including oil and gas operators, salt water disposal sites, and owners of ocean going vessels, spill response teams and municipalities constitute a partial listing of our potential customer base. WaterReco will initially focus on regions with high water production, but the system can be sized as required. WaterReco’s business plan includes revenue streams from both leasing the vessels to the operators or outright sales of the vessel. If leased, the operator will have no capital cost other than the installation and maintenance cost of the separator. The revenue will be generated by participating in the revenue stream from the sale of the recovered oil. Potential additional revenue streams from the sale of fresh water and the condensed brine will be determined by the local markets.